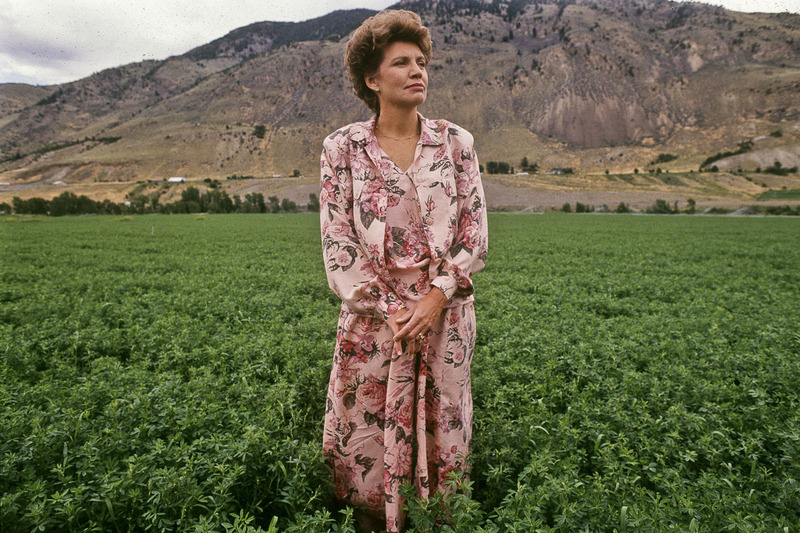 Elizabeth Clare Prophet was a magnetic—and polarizing—New Age religious leader based in Montana’s Paradise Valley. At the height of her career, her teachings attracted an estimated fifty thousand adherents, her predictions of a coming nuclear apocalypse garnered national media attention, and her survivalist approach alienated many of her Paradise Valley neighbors. The story of Prophet and the Church Universal and Triumphant illustrates the growing popularity of New Age mysticism in the late twentieth century. It also serves as an interesting (if somewhat sensational) case study for how the Montana landscape can be imbued with spiritual meaning. Elizabeth Clare Wulf was born in New Jersey in 1940. Though raised by nonreligious parents, she became a Christian Scientist at the age of nine. While attending Boston University in 1959, she met Mark Prophet, who through his group, The Summit Lighthouse, held seminars on ideas about spiritual enlightenment that dated back to the late 1800s. After marrying Prophet, Elizabeth joined her husband as a leader of The Summit Lighthouse, then took control of the group after his death. In 1975 she founded the Church Universal and Triumphant (CUT), which was based on Lighthouse teachings, which combined elements of mysticism, Christianity, Eastern spirituality, self-sufficiency, patriotism, and anticommunism. In the late 1970s and 1980s, Prophet attracted thousands of followers with her message of personal enlightenment. Church members lovingly referred to her as “Mother,” and they believed that she was a messenger of “the ascended masters” such as Buddha and Jesus. During her time as president of CUT, Prophet exercised almost total control over the church and its property. 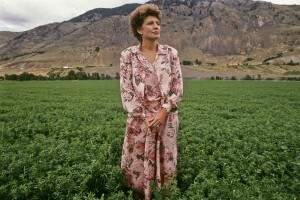 As the highly visible leader of the church, she also attracted a great deal of controversy, most notably in 1989 and 1990 when she prophesized and prepared for a nuclear apocalypse that did not transpire. Under Prophet’s direction, in 1986 the Church Universal and Triumphant moved its operations from Southern California to a ranch south of Livingston. According to her daughter, Erin, Prophet envisioned the Montana headquarters as an “Inner Retreat,” where church members could “escape from the dark energy that pervaded ‘the world’.” She also thought the land would provide an important agricultural base that would enable church members to survive in case of economic collapse, and at its height CUT owned over thirty thousand acres. Geographers Paul Starrs and John Wright emphasize the importance of place—in this case, Montana’s Paradise Valley—to Prophet’s utopian vision. They situate Prophet in a long tradition of primitivism, the idea that contemporary society is flawed and that people need to return to a simpler way of life. Because it is impossible to go back in time, primitivists instead try to create an ideal community on earth, one that is carefully planned so as to create a superior society. If Montana’s natural spaces provided the perfect atmosphere for “aura revivification,” the vast tracts of land acquired by the Church Universal and Triumphant also facilitated the development of Prophet’s utopian community, although, as John Wright points out, the CUT headquarters was, by most standards, a “strange utopia.” In light of Prophet’s vision of an imminent nuclear apocalypse, the CUT compound was dotted with exclusive subdivisions, a massive fallout shelter, armored vehicles, and sizeable weapons stashes. To outsiders, this “ideal” community appeared hostile and threatening. Church Universal and Triumphant Vertical File. Montana Historical Society Research Center, Helena. Montana Standard (Butte), November 17, 2008, and November 7, 2009. Prophet, Erin. Prophet’s Daughter: My Life with Elizabeth Clare Prophet inside the Church Universal and Triumphant. Guilford, Conn.: Lyons Press, 2009. Starrs, Paul F., and John B. Wright. “Utopia, Dystopia, and Sublime Apocalypse in Montana’s Church Universal and Triumphant.” Geographical Review 95, no. 1 (January 2005): 97-121. Whistsel, Bradley. The Church Universal and Triumphant: Elizabeth Clare Prophet’s Apocalyptic Movement. Syracuse, N.Y.: Syracuse University Press, 2003. Wright, John B. “The Church Lady in Paradise.” In Montana Ghost Dance: Essays on Land and Life, ed. John B Wright. Austin: University of Texas Press, 2008, 157-77. I don’t see how the cause of her death from Alzheimer’s detracts from Prophet’s legacy in any way. The Church is and was a prayer sangha, very much akin to sanghas and religious communities in the Siddha tradition; had Mrs. Prophet been of Indian extraction, and a man, you would not be expressing these so-called concerns. Both The Summit Lighthouse (R) and Church Universal & Triumphant are alive and well, conducting quarterly spiritual conferences and publishing books for sale at retailers such as Barnes & Noble. While articles such as this are intriguing for their sensationalism, they only ever focus on depicting Mrs. Prophet as a separatist: she was, in fact, an inspired religious who drew her Messengerial dispensation from the vital theosophic movement that included great thinkers such as Maria Montessori. She was a well-read and interesting theologian who met Mother Theresa and the Pope and who taught Free Will — first and foremost — as well as the mystical paths of the eight (8) major world religions. People should understand her Teaching — and our Dharma, including the nature of our beliefs and practices — before condemning us. The CUT has taken a big toll on Park County, even in its height as hundreds were draining the coffers dry – welfare – food stamps Food Bank, etc. as so many had sold everything they had t move to join the CUT. The Bible tells us, follow no man. What do you mean by stating that she was deceived, and led others astray? That she held religious opinions different from your own? The fact that she contracted Alzheimer’s is somehow a proof of some kind of guilt? What were you praying for? Her conversion to your limited viewpoint, or her failure and death? If she were indeed “channelling” powerful spiritual entities, that could explain the early exhaustion and decline of her mind. Her medical history could be relevant there, too. God is love.People have different ideas of who God is as we can see by the opinions expressed her.e . Let the truth of God prevail. The truth is that there are Teaching Centers Of The Summitlightouse and Triumphant/Church Universal and Triumphant in such places as.India, Russia all over the USA,Phillipines Africa to name a few all places Elizabeth Clare Prophet traveled to in her lifetime. Some place s she traveled with Mark before he died. Her followers are very active praying for Peace on our planet. So are you saying that the CUT is still active in and around Livingston and Paradise Valley?